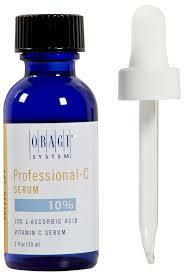 Obagi Professional-C Serum helps defend against the signs of skin aging by providing superior antioxidant protection. The Vitamin C formula is suitable for all skin types and helps minimize the appearance of fine lines and wrinkles, calm inflammation, and brighten skin. It is formulated with L-ascorbic acid (vitamin C) to help defend against skin aging.